The Executive Order calls for a single set of information security reporting standards for all agencies to follow. Currently, state agencies use a variety of reporting standards, making it difficult to measure information security across state government or to track progress from year to year. 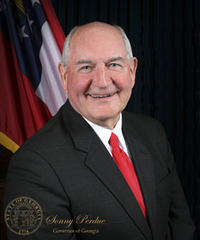 Governor Perdue has directed the Georgia Technology Authority (GTA) to work with the Georgia Department of Audits and Accounts and the Governor's Office of Planning and Budget to develop a reporting format and required content for agency information security reports. Each agency will be responsible for reporting to GTA at the end of the fiscal year. GTA will compile agency reports into a single Enterprise Information Security Report, available by October 31 of each year. I think this is a good move. Now how about monthly reporting in a publicly visible web page.